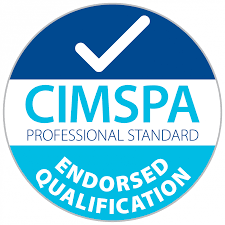 Developed by employers and industry experts, CIMSPA professional standards redefine what learners need to know, understand and demonstrate to be ‘work-ready’ when completing a qualification. The qualifications listed below form our suite of group exercise instructor qualifications. Mapped to the CIMSPA Core Group Exercise Instructor professional standard, successfully achieving these qualifications will provide learners with the knowledge and skills to teach and lead group exercise classes. The qualifications listed below form our suite of gym instructor qualifications. Mapped to the CIMSPA Gym Instructor professional standard, successfully achieving these qualifications will provide learners with the knowledge and skills to engage, facilitate, support and educate clients in a gym environment. The qualifications listed below form our suite of personal trainer qualifications. Mapped to the CIMSPA Personal Trainer professional standard, successfully achieving these qualifications will provide learners with the knowledge and skills to coach clients to meet their health and fitness goals. The qualifications listed below form our suite of Strength and Conditioning qualifications. Mapped to the CIMSPA Strength and Conditioning Trainer professional standard, after successfully achieving these qualifications learners will be able to apply their knowledge to coach, engage, educate and support clients in a variety of training environments.